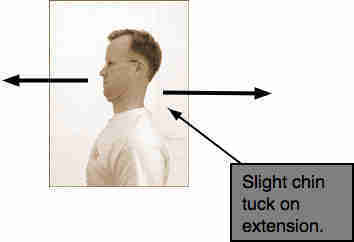 Ten second step test is simple for those with a serious neck problem. 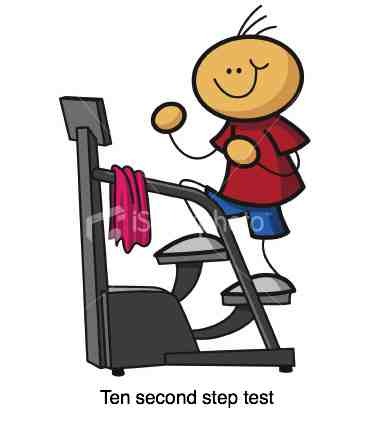 Ten second step test is for those with a serious neck problem that is causing changes in the way you walk. It's been designed for people with neck pain and major stiffness that they think could be disturbing their gait. Pressure on the spinal cord in the neck is very uncommon, so it's most unlikely; but it does happen. Surprising as it may seem, a neck injury can seriously affect the way the legs work. This is known as cervical myelopathy, in which a lesion in the neck (could be any one of many conditions), presses not on the nerves that go to the arm, but on the spinal cord itself. There may be weakness and tingling in the legs, and lack of coordination whilst walking. Unexpectedly bumping into a doorway as you walk through, for example. This page was last updated by Dr Barrie Lewis on 3 January, 2019. Stand near to, but not holding onto, a rail or chair, if you think you might fall. Look at your watch. Raise each leg as fast as you can, so that the thigh is parallel to the ground, and your knee is at ninety degrees. March on the spot. How many times can you do it? Healthy strong young people can do about 16-23 steps in ten seconds. If your lower back, hips, knees and ankles are in otherwise good order, and you can only raise your knee less than fifteen times, and you know you have a neck condition, then an assessment of your neck is in order. Obviously even a healthy eighty-year old would have difficulty raising their knee 15 times. And an obese forty-year old probably couldn’t either. If concerned, talk to your chiropractor. In diseases such as Rheumatoid Arthritis there may be softening of the base of the skull allowing the skull to settle deeply on the upper neck bones (or, put differently, the neck bones protrude up into the skull). Pressure on the spinal cord may occur, affecting the way you walk, hence the value of this test. 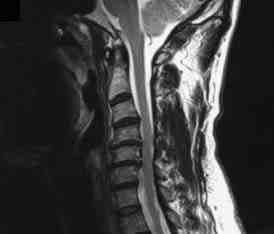 The symptoms of cervical stenosis are in the first instance severe stiffness of the neck. This is mostly from degenerative changes associated with old whiplash injuries that were not well managed at the time, or were so severe that they inevitably left lasting damage. Those changes, often to the joints of Luschka, or paravertebral joints as they are sometimes called, may affect the nerves to the arms. What's odd is that some people with massive uncinate degeneration still have little symptoms, or very treatable tingling and pain in the arm. Worse is a bony mass at the back of the body of the vertebra, that can affect the spinal cord causing cervical myelopathy. Go to Retirement Sentiments - Planning for retirement is vital.